Seraphina's 1st issue! Jammed pack full of tips on modeling, beauty, and fashion, along with stunning and playful editorials featuring teen and tween models. 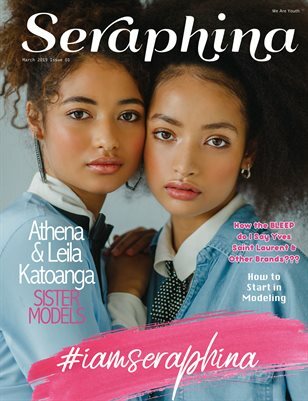 Feature stars Athena Katoanga from Making a Model with Yolanda Hadid and her sister, Leila.